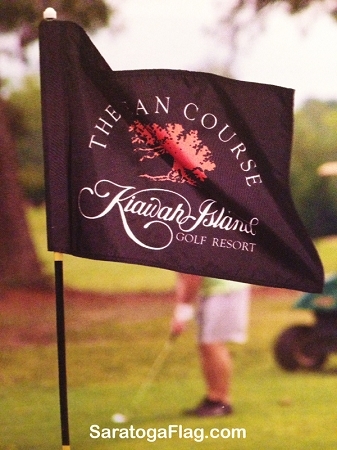 Custom Imprinted All-Weather Nylon GOLF PIN FLAGS. Allow 2-3 week turn-around time. Embroidered Flags are also available. Call for more info (518) 792-1776.